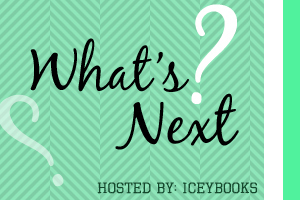 This week’s What’s Next? features three books from my summer TBR list. I’ve really been struggling trying to decide which one to pick up first. One choice can transform you–or it can destroy you. But every choice has consequences, and as unrest surges in the factions all around her, Tris Prior must continue trying to save those she loves–and herself–while grappling with haunting questions of grief and forgiveness, identity and loyalty, politics and love. Tris’s initiation day should have been marked by celebration and victory with her chosen faction; instead, the day ended with unspeakable horrors. War now looms as conflict between the factions and their ideologies grows. And in times of war, sides must be chosen, secrets will emerge, and choices will become even more irrevocable–and even more powerful. Transformed by her own decisions but also by haunting grief and guilt, radical new discoveries, and shifting relationships, Tris must fully embrace her Divergence, even if she does not know what she may lose by doing so. So…which one should I read first? I was going to say Insurgent (especially if you just finished Divergent) but now I have to go with Graceling-one of my favorite reads of 2010-just plain awesome! Still haven’t read Insurgent, or the Beth Revis‘ series, and Graceling was so good, but I decided to vote for A Million Suns. I would definitely say Insurgent. If you’ve read Divergent, and LOVED it, I’d definitely recommend Insurgent! But if you’re looking to start a new series in a new world – GRACELING always and forever. READ GRACELING BECAUSE YOU MUST. Definitely Insurgent!! I am loving this series and now I definitely can’t wait for the next one. I also haven’t read Graceling (but after all of these other comments, I’m adding it to my to-read list right now)! I’d say Graceling! Although Insurgent is very good too. It depends if you want to read high fantasy or dystopian, but they’re both great. I have not read A Million Suns, but I was not impressed with Across the Universe. I’m all for the strong female protagonists of Graceling and Insurgent. I still need to read Insurgent, but I LOVED Graceling, so Graceling gets my vote. 🙂 Thanks for stopping by my post, Allison! My vote is Graceling! It’s an absolute must read for YA epic fantasy and empowered relationships.